Modeling Jobs>Event & Promotional Jobs>Volume Eyelash Extension Model Wanted. With Experienced Lash Therapist. Blanc to Noir is looking for a model to promote our signature eyelash extensions. 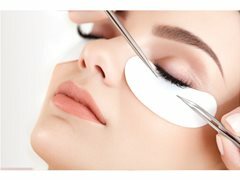 This is performed by experienced Lash Therapist. This shoot will involve the model getting eyelash extensions. Profile angles and images from the chest/shoulders upwards will be taken after application. You will receive complimentary eyelash extensions.